Hello! Welcome to my wedding series! I decided to create a series rather than just a few posts here and there because when I look for wedding planning, I get lost in people’s wedding planning series whether it’s on their blog or on their YouTube. So I figured that this would just be really fun to document especially for me to look back on in the future as well. Every Wednesday I’ll be posting details about my wedding or wedding related things up until I get married which is happening September 2018. Today I’m just going to kick it off with telling a little bit about my style and why am not having a traditional wedding. Let’s get this out-of-the-way right now. I’m already married. Yep. my husband and I had a quick marriage at a bed and breakfast in 2014. This was because we knew that we wanted an amazing wedding, but we knew that it wasn't the right time to start planning one. We had so many other things to be concerned about at the time. Choosing to wait until we could actually have our dream wedding was one of the best decisions I ever made. Our 'wedding' will be a vow renewal ceremony. It is going to be very private and intimate. We are the only ones going. Our two girls will be joining us, but it will only be the four of us. As much as I would love to have friends and family there to celebrate with us, it was nearly impossible to figure out since everyone is so busy with work, family, etc. Keeping the ceremony private is SO much easier for us to be honest. I don't feel stressed at all and I have had so much fun planning our special day. I’m also very nontraditional type of girl so my wedding will be far from normal. I'm not a bridezilla at all and I basically just want to have fun with my family. We are doing our own photography, I am doing my own hair and makeup, there won't be a reception or anything afterwards, and this is exactly what we wanted. 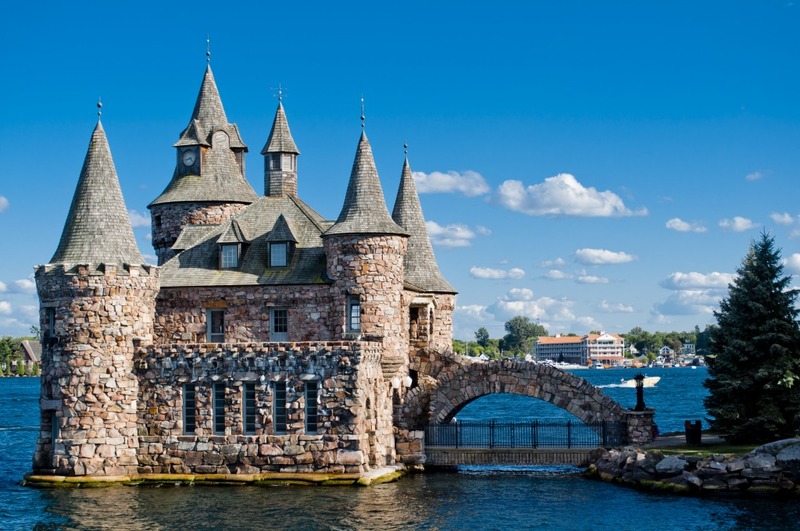 Boldt Castle: The perfect venue for a castle wedding. I truly feel like my life is a fairytale every day with my husband so I really want my wedding to be like a happily ever after vibe. The beach was my other option for our wedding but Tyler wasn't into it. We chose Boldt Castle for our dream venue back in 2015. Beach weddings are lovely, but I also really wanted to get married at a castle. 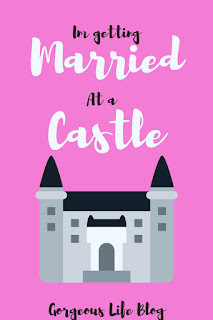 I was searching for castles in the US to get married that and honestly thought that I was never going to find one that was anywhere close to our budget. 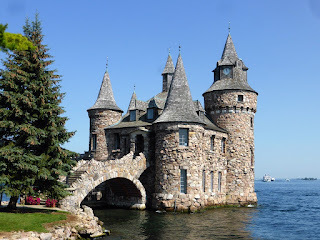 I was kind of in the dream phase at that point when I came across Boldt Castle. Not only is it stunningly beautiful, but it’s only seven hours away from our house and it’s extremely affordable! The most affordable venue that I found actually, and it has an incredible love story behind it. George Boldt was a wealthy and powerful man who owned many hotels in New York City. Like any normal young man, he met a young woman and fell in love with her. They got married and had two children. Boldt decided to build his beautiful bride a 125 room, five story castle on an island in New York as their summer home. Construction began on this amazing castle in 1900, But during the construction, George's wife became ill and passed away soon before completion of the castle. 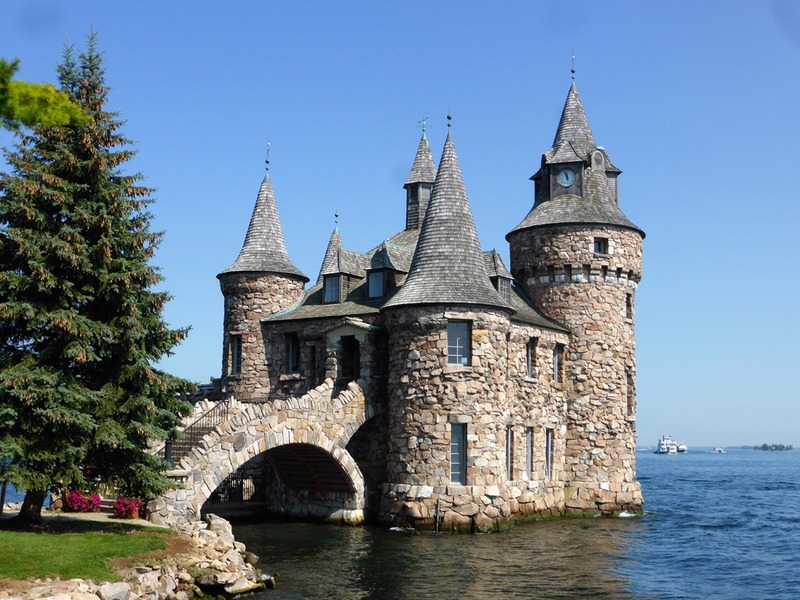 Boldt was so heartbroken that he stopped all construction on the castle and never even returned to the island. 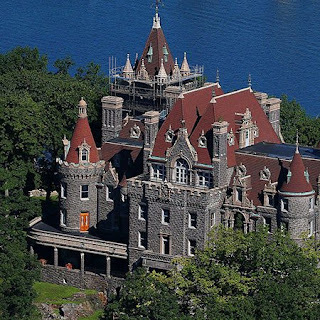 The castle was left to ruins for decades until the state of New York acquired it and began fixing it up. The story is so sad in such a beautiful way! As soon as I read it, I knew it was the perfect venue for our wedding. I asked Tyler if he would rather have the castle or the beach and he was totally loving the castle! So it was decided! After doing more research, we discovered that it was super affordable and started getting ideas for our wedding. 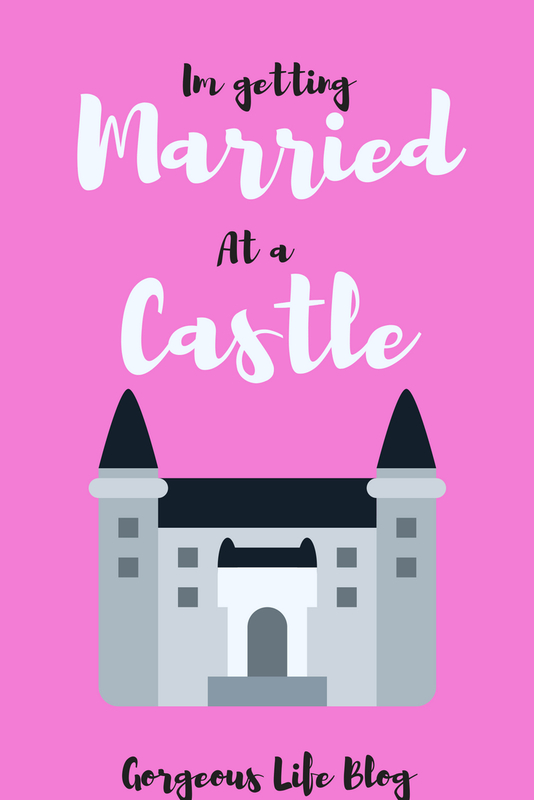 My husband and I will get to get married outside of the castle. I’ll be able to get dressed inside (apparently there is a bridal suite where I can get ready), but otherwise everything else will be outside. This is perfectly fine with me. 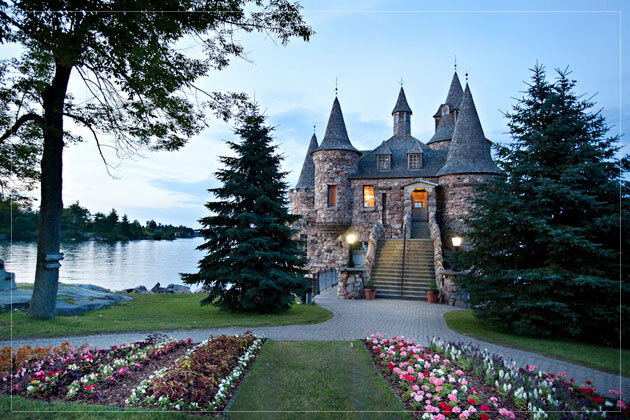 Getting ready for my wedding in a castle will literally be a dream come true! I am beyond excited for this day to come! 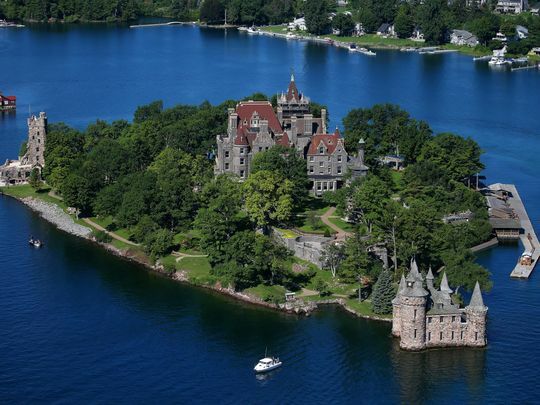 So the castle is located on an island actually called Hart Island in the Thousand Islands of New York. This is also super cool because not only do I get a castle wedding, but my castle is on its own island I love it I am living for this!! There is the main castle which is that this beautiful building. Five stories high, 125 rooms, and a few of the rooms inside are finished and they are beautiful! Perhaps my favorite part of the castle is the powerhouse. It’s got very medieval architecture and it’s like the perfect little mini castle. It’s stunningly beautiful but it’s very efficient. It was built to be able to generate enough electricity to power the whole island, which is awesome. Tyler and I have officially set a date for our ceremony. We will renew our vows early September 2018. I can not wait to share the photos with you when we get home!! Check back every Wednesday for my Wedding Series! I'll be blogging every step of the way! Updated: My wedding was a dream come true! Read about it here!! Such a beautiful post! Read it several times. My cousin booked one of the graceful Los Angeles venues for her friend's surprise birthday party last month. Yummy cake, quality caterers and great Dj. Party was a real blast. Birthday girl looked amazing. Also got unlimited blessings and gifts. Wow that castle is huge. There is a castle where I live but it has more of a long shape. They have weddings there as well etc.